We have a New Front Head Lamp Light LH Xenon. Fits: Range Rover Sport 05-09. We are Rover people. Part# LR012440. We have a New Xenon Front Head Lamp - Head Light RH - Right. Range Rover Sport 05 - 09. We are Rover people. BI-XENON Light H.I.D WITH ADAPTIVE SYSTEM. Need help?. Let's chat. Part # STC1210 . Range Rover Classic 87 - 95. 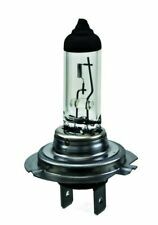 FRONT HEAD LAMP LIGHT SEALED BEAM 7". Defender 90. Part# LR012437. We have a New Xenon Front Head Lamp - Head Light LH - Left. Range Rover Sport 05 - 09. We are Rover people. BI-XENON Light H.I.D WITH ADAPTIVE SYSTEM. Need help?. Let's chat. 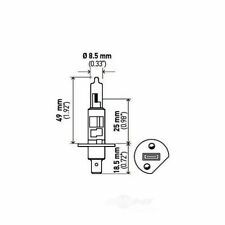 PART# LR012437,XBC502290LZN XBC501773LZN XBC501772LZN. RANGE ROVER SPORT 05 - 09. LH - LEFT (DRIVER SIDE). BI-XENON Light H.I.D WITH ADAPTIVE SYSTEM. We have a New Front Head Lamp Light LH Xenon. Fits: Range Rover Sport 05-09. Range Rover part number: YWC500480. 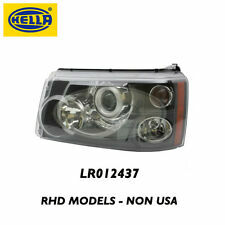 One tested OEM Hella xenon headlight low beam bulb ballast in great working order. 2006-2009 Range Rover (will not fit Range Rover Sport!). Part Number: H71071132. Visibility can be impaired under various circumstances and driving under these adverse conditions will increase the risk of an accident. HELLA bulbs undergo strenuous quality tests. One tested original OEM xenon headlight HID light bulb ballast and one AFS power module midi kit with mounting screws. Midi Power module: LR018366. Ballast: YWC500480. 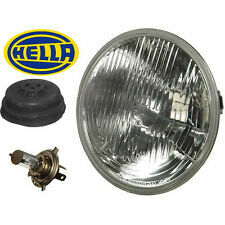 One original OEM Hella xenon headlight low beam light bulb back cover in good working order. Jaguar: C2Z7942. Land Rover: XCA500070. 2006-2009 Range Rover. 2006-2009 Range Rover Sport. 2009-2014 Cadillac Escalade ESV 6.2L FLEX V8 Automatic Base. 2011-2014 Cadillac Escalade ESV 6.2L FLEX V8 Automatic Luxury. 2009-2014 Cadillac Escalade ESV 6.2L FLEX V8 Automatic Platinum. 2011-2014 Cadillac Escalade ESV 6.2L FLEX V8 Automatic Premium. 2006-2009 Range Rover. 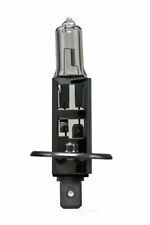 One original OEM xenon headlight projector level adjuster / motor with mounting screws. OEM Hella 5DV009000-00 Xenon Headlight Ballast used on. Dodge Grand Caravan 2008-2016. Following models use this ballast Chrysler Town & Country 2008-2016. Dodge Ram Cargo Van 2013. Chrysler Part Number: 68030815AA. Land Rover Part Number: YWC500430. Following are all compatible Hella part numbers: 5DV 008 290-00 / 5DV00829000 / 5DV008290-00. Hella Part Number: 5DV 008 290-00. Following Vehicles use this ballast. 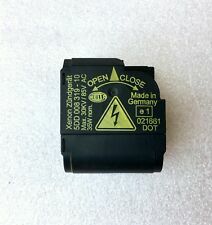 One tested genuine OEM made in Germany Hella 5DV 008 290-00 xenon head light ballast in great working order. 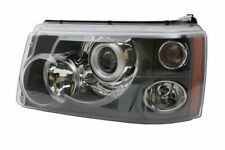 Fits xenon headlights of 2006-2009 Range Rover Sport. Hella H71071132 Buick Regal 2012-2011. They give your vehicle the look of the GT Series racing cars, too. Yellow tinting provides better color contrast in rainy, foggy, or snowy weather conditions. H11 12V 55W. One tested original OEM xenon headlight low beam ballast, one AFS power module midi, one D1S bulb and mounting screws. Midi Power module: LR018366. Ballast: YWC500480. Fit 2006-2009 Range Rover (will not fit Range Rover Sport!). 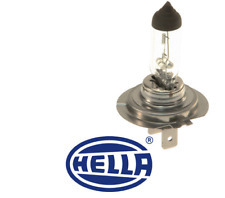 One tested genuine OEM Hella 5DV 008 290-00 xenon ballast to HID D2S light bulb igniter wire in great working order. Works with pictured ballast (ballast is not included)found in xenon headlights of. L and Rover – YWC500480. 2006-2009 Land Rover Range Rover 4.4L HSE. 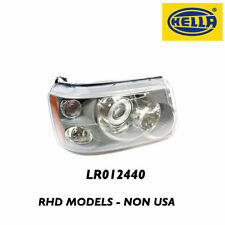 OEM Hella Made in Germany Xenon Headlight Ballast used on Range Rover model vehicles. Following are Land Rover models that use this ballast. Ballast: YWC500480. 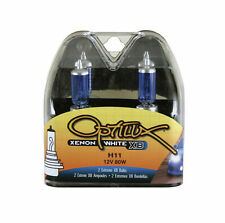 One tested OEM Hella xenon headlight low beam bulb ballast and Osram D1S bulb kit in great working order. 2006-2009 Range Rover (Will not fit Range Rover Sport!). Fit xenon headlights of. One tested original OEM xenon headlight H7 high beam / DRL light bulb with socket and plug with a pigtail in great working order. The bulb itself (H7) will fit thousands of other makes and models. Trending at $24.07eBay determines this price through a machine learned model of the product's sale prices within the last 90 days. 2010-2012 Saab 9-5. 2007-2011 Jaguar XK, XKR. 2002-2007 Jaguar S-Type. 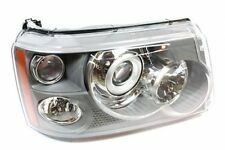 2002-2007 Jaguar X-Type (high beam only). One tested genuine OEM Hella 5DV 008 290-00 xenon ballast to hid d2s bulb igniter wire in great working order. Works with pictured ballast (ballast is not included)found in xenon headlights of 2003-2007 Saab 9-3. 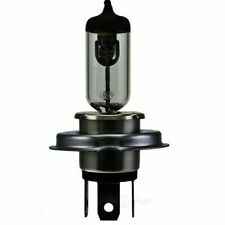 Hella Headlight Bulb - H7 Halogen (12V - 100W). 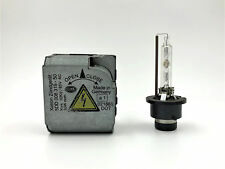 2 QTY - H7 - Light Bulb. PART NUMBER. Land Rover. Range Rover. Fog Light Only. Range Rover part number: YWC500480. 2006-2009 Range Rover (will not fit Range Rover Sport!). A pair of tested OEM Hella xenon headlight low beam bulb ballasts in great working order. 1x Xenon Headlight Ballast. HID Bulb Type: D1S D1R. 2008-2014 Chrysler Town & Country. We will get back to you as soon as we are available. 2007-2009 Jaguar XK / XKR. GM Part # 15782392. 2009-2011 Volkswagen Tiguan. One tested original OEM xenon headlight turn signal and parking light bulb with socket in great working order. Range Rover 2006-2009 Range Rover. 2006-2009 Range Rover Sport. 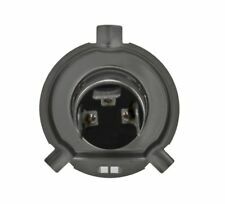 Socket: XBP500020. Socket: 0018265182. One tested genuine OEM Hella xenon ballast, one bulb igniter, one AFS power midi module, one D2S bulb and mounting screws kit all in great working order. Fit xenon headlights of Range Rover part numbers. Visibility can be impaired under various circumstances, and driving under these adverse conditions will increase the risk of an accident. One tested original OEM xenon headlight turn signal and parking light bulb with socket in great working order. Socket: 0018265182. Hella Part Number: 5DV 009 000-00 / 5DV009000-00 / 5DV009000. X6 E71 / E72 Hybrid OEM Authentic Hella Xenon Headlight Ballast used on BMW X6 models. BMW X6 3.0L 6 cylinder xDrive35i 2008-2010. BMW X6 4.4L V8 ELECTRIC/GAS ActiveHybrid 2010. HELLA 1EL 238 022-821. HELLA 1EL 238 022-525. HELLA 1EL 238 022-527. HELLA 238 022-821. LAND ROVER XBC502360LZN. LAND ROVER RANGE ROVER SPORT (LS) 2.7 TDVM 4x4 02/2005 -. LAND ROVER RANGE ROVER SPORT (LS) 3.6 TD 8 4x4 04/2006 -.